GYM SKILLS WILL NOT BE HAVING CLASSES ON THE DATES LISTED ABOVE. 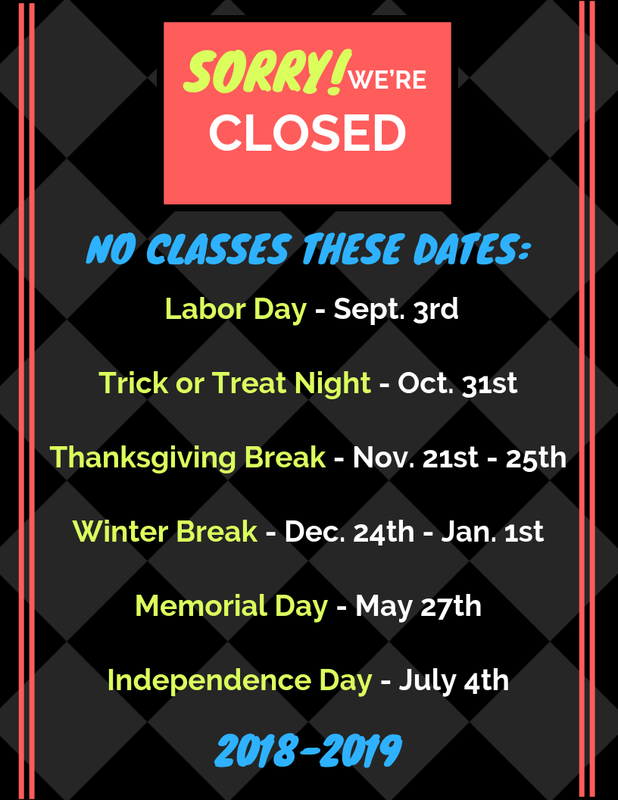 You will receive an option to make up a class for the Holidays/Closing dates listed above. In months where holidays, gym closings, snow days, etc. affect the schedule of classes, make up days will be scheduled accordingly. Make-ups are allowed when the requested class size permits. You must pre-register for make-up classes through the office. Gym Skills will make appropriate closing decisions during inclement weather conditions. We will post all announcements regarding openings/closings on Facebook, Instagram, Website (Cincinnati and Columbus Locations), and Answering Machine. Due to classes being cancelled for weather, Gym Skills will offer a make up classes which can be scheduled by Phone or Email. We are often open when schools are not, however we never want you to take unnecessary risks. If we are open, but your street is bad, we will allow your child to do a make-up class.